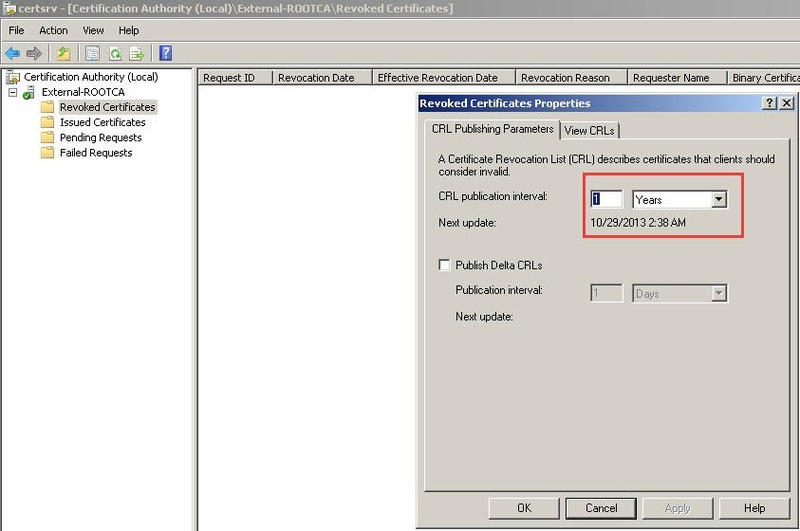 This guide is for a Lab environment scenario where we have Exchange 2010 setup and we need a certificate to make OWA / Autodiscover work in Lab. This happens coz of CRL Distribution Point URL, which are configured under the CA server properties / Extensions tab and Certificate Revocation settings. 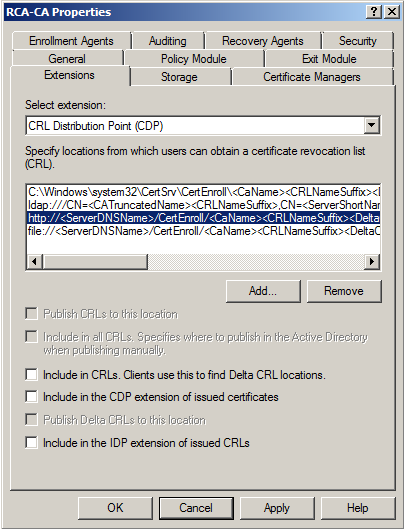 This is the default settings for CRL on Root CA server. 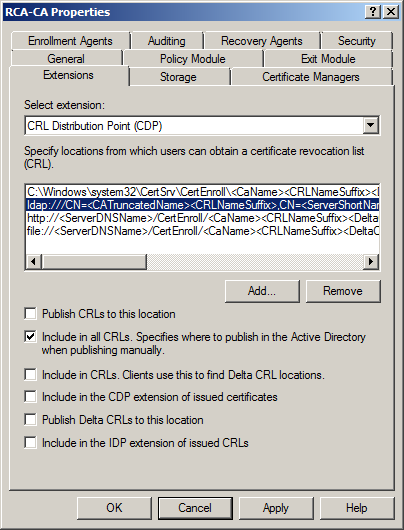 Right click “Revoked Certificates” Node and select properties. 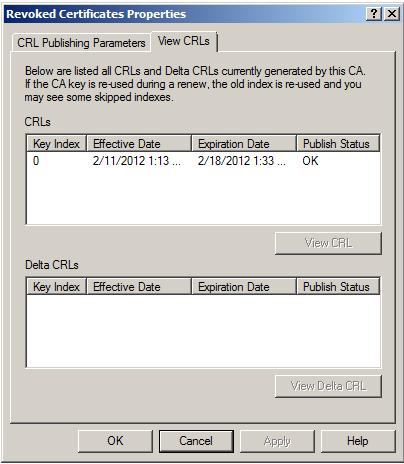 Lets change these values to work for us. 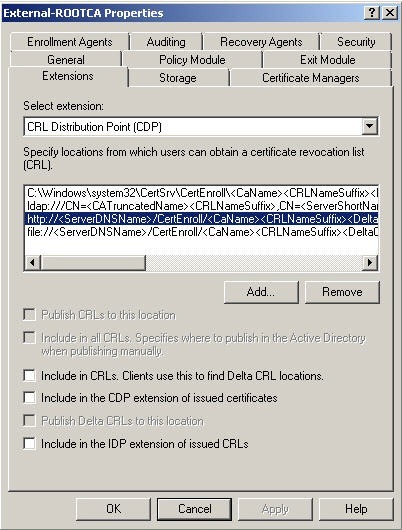 1st Step, we will set the Configuration Naming Context which will be used in the CRL path. 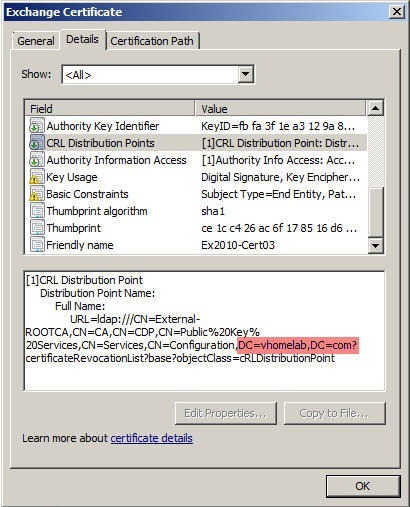 Replace DC=vhomelab,DC=com to your domain name. 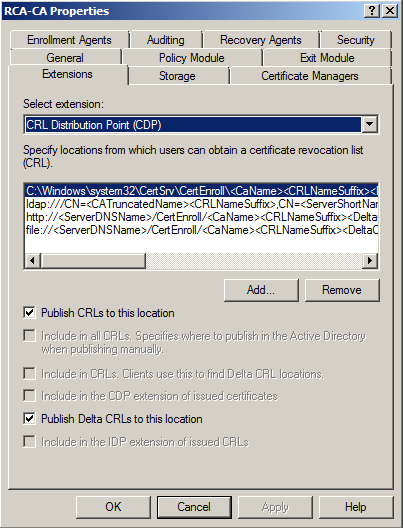 2nd step, we will change the settings under “Extensions” tab. 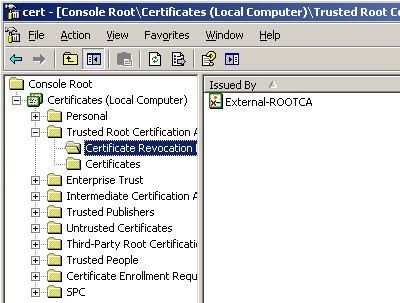 3rd Step, change settings under “Revoked Certificates” properties. 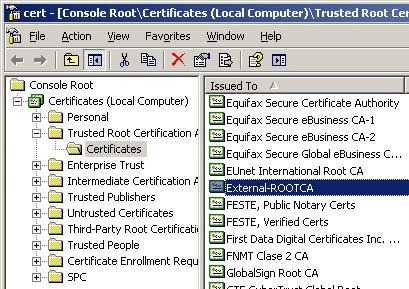 Now, restart the certificate service. 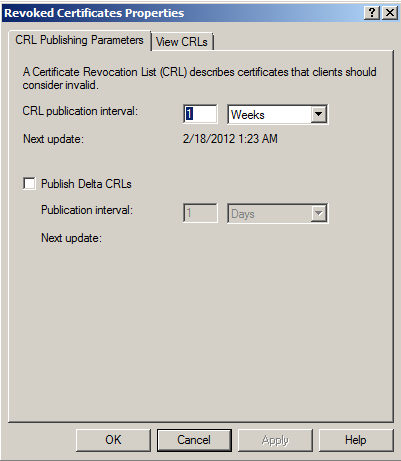 This will publish the new CRL with the changes that we made. 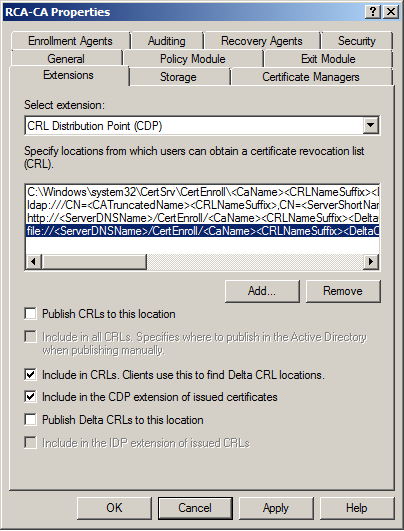 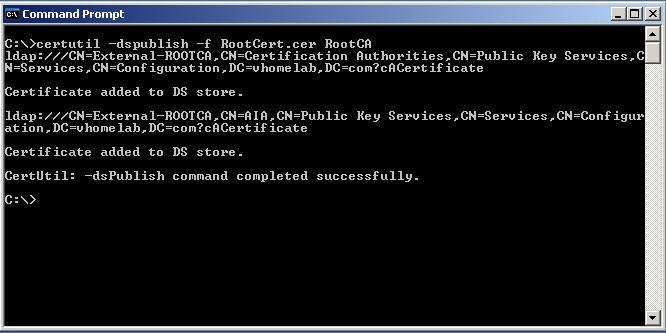 This will add Root Certificate and CRL to trusted Root Certificate on DC. 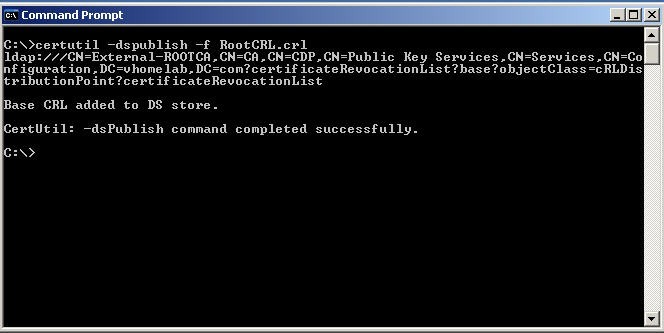 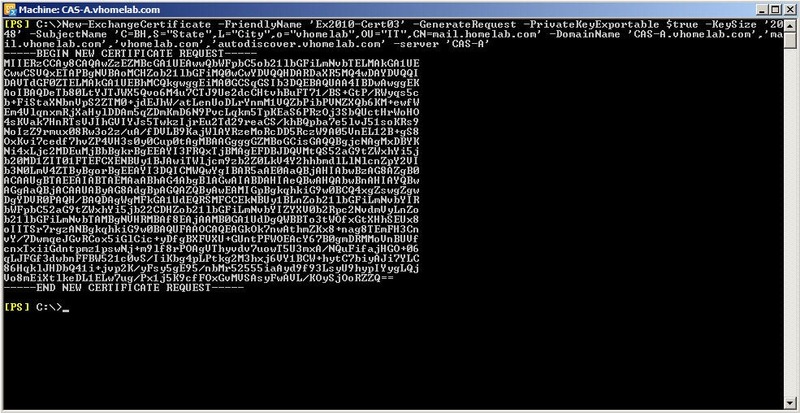 Now we will publish the Root Certificate and CRL to AD DS using commands as follows. 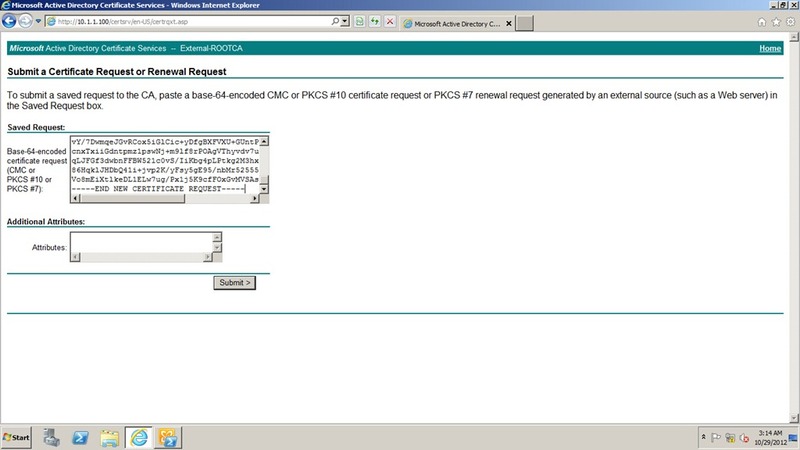 Complete the certificate request in Exchange Management console. 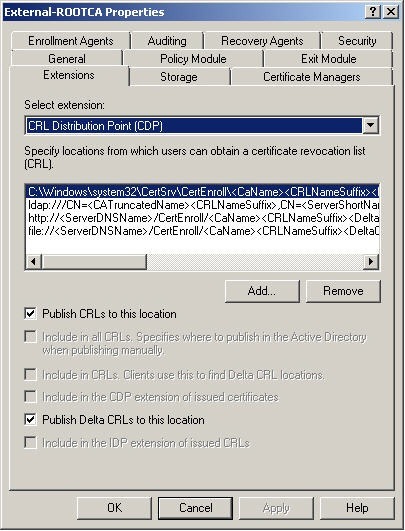 1st, the command that we ran for Configuration Naming Context, that was to get the CRL path configured properly as shown below. 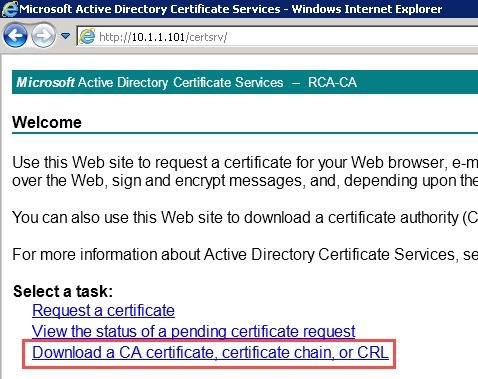 Hope this has helped you in some ways.